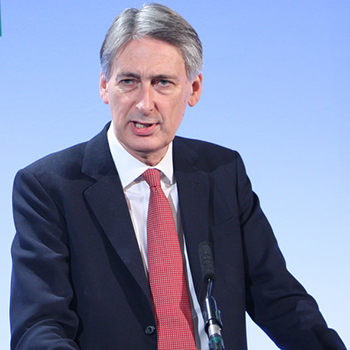 The drinks industry has welcomed UK chancellor Philip Hammond’s freeze on spirits, beer and cider duty in the autumn Budget. Hammond announced in today’s (29 October) Budget – the final one before Brexit – that British drinkers will “save 2p on a pint of beer, 1p on a pint of cider and 30p on a bottle of Scotch or gin”. However, duty on wine will go up with inflation. “So-called white ciders” will be taxed on a new higher rate, Hammond said. The chancellor froze duty on spirits, wine and beer at last year’s autumn Budget. But following the spring Budget, alcohol duty has increased by RPI inflation. Hammond has repeatedly faced calls to freeze duty leading into the Christmas period. The UK alcohol industry is one of the most heavily taxed in Europe, with British drinkers paying 68% of all wine duties and 27% of all spirits duties collected by the 28 member states of the European Union. The Wine and Spirit Trade Association (WSTA) warned that a further 3.4% duty rise in line with RPI inflation could add 26p to a bottle of spirits and 7p to a bottle of wine. HMRC (Her Majesty’s Revenue & Customs) figures quoted by the Scotch Whisky Association (SWA) show that the spirits duty freeze in November 2017 generated an extra £163 million (US$214.4m) in revenue between February and August 2018. Revenue reached £1.937bn (US$2.55bn) during this period – a 9.1% increase year on year. A number of drinks groups celebrated the news of the duty freeze on spirits. Karen Betts, chief executive of the SWA, said it was “the right decision for the public finances, the industry and for consumers”. She added: “The continuation of the duty freeze is a very welcome show of support for the Scotch whisky industry, which plays an important role in the UK and Scottish economies and which is one of the UK’s most successful exporters. “Time after time, the industry has shown that a stable rate of tax both boosts government revenue to help support vital public services and creates an environment which encourages investment in future growth. “However, the Scotch super tax remains, with £3 in every £4 spent on the average priced bottle of Scotch in the UK still collected in taxation, and a significant disparity between what consumers pay in tax on Scotch and other alcoholic products. He added that the decision to increase wine rates was “a hammer blow” and will be “thoroughly unwelcome for the 33m consumers of the nation’s most popular alcoholic drink”. Charles Ireland, general manager for Diageo Great Britain, Ireland and France, said: “We are delighted to have a chancellor who wants to help drinkers of Scotch, gin, and our hard-pressed pubs. “Philip Hammond has listened to the industry and his Scottish colleagues, and today has acted to support our world beating spirits industry.